The world is getting restricted to smartphones these days. People are attracting more towards smartphones and ditching desktops as various things can be achieved hands on. This resulted in boosting the growth of mobile app development and especially on Android. 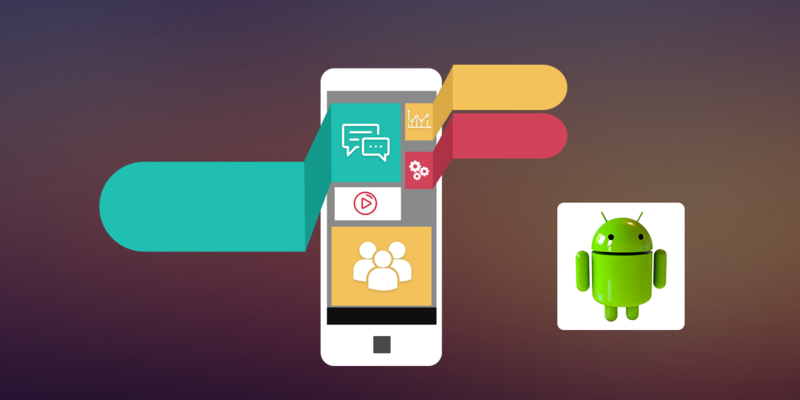 Business app development for Android has given more satisfaction to end users in comparison to other platforms. Demand for development of business app has reached on a new level and has insisted the developers go ahead for android app for business. And as the impact of the Android mobile app development on business growth is positive and undeniable, numerous companies are looking forward to developing an Android app to grow more the business that is the perfect blend of top-class technology and features having the best user experience. • High android users: In this digital era, various users across the globe are using android phones. So, in this dynamic competitive technological market, not having an android app for business means losing the limitless opportunities and customers in the business. When there is high competition going on in the market, no business can afford such a huge loss. So, it is suggested to look forward to android app developers for converting a website into an app. • Target Multiple Platforms: Android app developers use java language for developing an android business app. This simply means that you can even port the app into other operating system like Ubuntu, blackberry and Symbian. Thus, one can take advantage of the development of the app by targeting multiple platforms. • Open source platforms: Android is an open source platform. So Google won’t charge any of the fees for utilizing this platform. Moreover, Google also provides the tools for app development and technology for free. This aspect helps to cut the cost in the entire project. The costing of the project is fully based upon company to company depending on various other factors of android app development. • Multiple device compatibility: The greatest merit of selecting an android app development for the business is that, there is no restriction for building an android app on the device. One can develop an app on windows desktop, Linux system and Mac. • Faster Deployment: The overall period of deployment for iOS app stretches to weeks, whereas developing android app can take a couple for hours to develop. That’s the reason why various android app development companies recommend selecting the android as a platform. Business development procedure must be fast because as the app gets developed, the business will bloom. • Customized App: One of the interesting fact about the android is enabling the android app developers to personalize the app as per the need and requirement of the business. This means that the development of an app can be done with right and specific requirements that might not be possible with other platforms. So, in a nutshell, even if you are a product based company or service based company, it is essential to have an android app for your business. It will help the store to reach maximum potential customers and improves the sales and revenue. We at Panacea Infotech have experienced developers who have rich experience in developing and delivery high quality android apps which make us best in class app development companies in USA and across the globe.